"How do I reset App Store password on iPhone? I can't download any other apps anymore." However, if you forgot your App Store password (otherwise known as iTunes password, Apple ID), you are not being able to log into your App Store and download or purchase applications. If you've tried all the passwords you think might be correct and you still can't login, you need to reset a forgotten App Store password. Before reset, note that you can't reset the password on your iPhone, iPad, iPod, reset procedure can only be done in iTunes on your computer. How to Reset an App Store Password on iPhone, iPad, iPod? Need to reset your App Store password on iPhone X/8/8 Plus/7/7 Plus/SE/6s/6s Plus/5s/5c/5/4/3gs? You must go to the Apple ID reset password page. 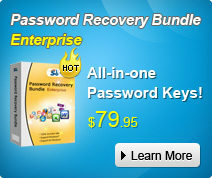 There you can select the authentication method you want to use to reset your password. "Email authentication" and "Answer security questions" are the two ways to solve the problem of how to reset an App Store password. See the detailed instruction of the two parts below. Make sure you have access to the email address associated with your Apple ID. 1. Navigate to appleid.apple.com in your browser. 2. Select the "Reset Your Password" option under the "Already Have an Apple ID?" heading. A new page loads. 3. Enter your Apple ID into the "Apple ID" field. Click the "Next" button. 4. Select the "Email Authentication" option to authenticate your account via email. 5. Click the "Next". A new page loads notifying you that the email has been sent. 6. Navigate to your email account. 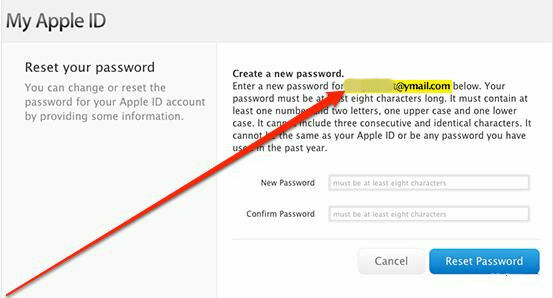 Open the "How to Reset Your Apple ID Password" email from Apple. 7. Recover over the information provided in the message, then click the "Reset Your Apple ID Password" link. A "Create a New Password" webpage loads. 8. Enter your new password, then click the "Reset Password" button to complete the procedure. Provided that you haven't forgotten Apple ID password and security questions, then go through the following steps. 2. Click "Manage your Apple ID", then click "Forgot your password?". 3. Enter your Apple ID and click "Next" button. 4. Enter your birth date and click "Next." Answer the security questions and select the new password you want to use. Confirm your selection to reset your password. Q 1. Is the App Store only for iPhone? A 1. No, it's not. It's for all Apple devices, including iPhone, iPad, iPod. A 2. Just go to Settings > Store (literally the last section) > Sign Out > Sign In. No need to erase/rearrange all your other stuff. Q 3. Is App Store password the same as my iPhone passcode? A 3. Actually not. iPhone passcode is the password to protect the data on your iPhone. If you forgot your iPhone password unfortunately, click here to find the way out. Q 4. How do you get the App Store on your iPhone? A 4. It should be on the phone. If not, plug it into iTunes and then check for an update. Otherwise, take it to the Apple store. Q 5. Where can you download the iPhone App Store app? A 5. The App Store should come built in with the iPhone, it it's not there check your settings and restrictions, you may have locked it. If all else fails go on iTunes on the computer and you should be able to get it. Knowing all the tips about App Store for iPhone, iPad, iPod and then enjoy your iOS device freely.